Both Ron Greve and Douglas Dinning have been City prosecuting attorneys and both are familiar with the Courts and the procedures. 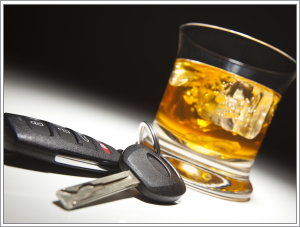 The drunk driving laws have gotten stricter year by year. Penalties now can include fines and prison, ignition interlock, vehicle forfeiture, revocation of your driver's license, annual "administrative fees", community service, driver improvement classes and other consequences. Doug and Ron can guide you through the process, provide a defense if the charge can be defended and help you to minimize the consequences of a conviction. Most traffic violations are "civil infractions" which means jail time is not one of the possible penalties. If you are found guilty of the violation, you get points on your driving record as well as a fine. These points can cause you to lose your driver's license and will increase your insurance rates for several years. Ron or Doug can often negotiate a plea bargain which will result in no points being assessed against your driving record. We can also provide an aggressive defense if you want to fight the ticket.